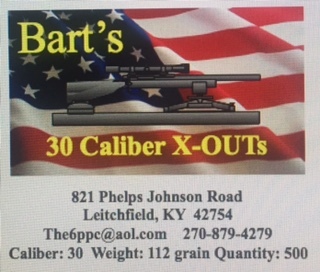 The 30 Caliber 112 grain X-OUTS are an 8 Ogive with a .065 metplat, made on a .925 jacket. These bullets were introduced to the shooting world in the spring 2015. I used a 30 BR with a Krieger barrel for testing. I am amazed at the easy of tuning and the level of accuracy that these bullets produce. Zero groups are no problem if you have a good gun and a solid scope!